I bought this for my husband. It really works. I am glad not to have coffee spilt all over. Good at beginning, not so good now! I loved this mug when I received it as a gift. It kept my coffee hot/warm for up to 6 hours as indicated. Now, almost 1 year later, the coffee does not stay hot as long. It keeps my coffee warm up to 2 1/2 to 3 hrs. It is not hot by the time I get to work which it used to when I first received it. I still like the mug and will continue to use it, but just have to drink my coffee faster! I bought this as a birthday gift for my daughter because she complained of spilling coffee frequently. she called me and said that it was a thoughtful gift but she could hardly pick it up because it was sticking so so tightly to the surface. hates it !! I felt sad. didn't work right out of the box. a little tall for me. i actually bought it for my dad, because he was always knocking his over. he had too hard of a time being able to pick it up! he is 90! but it is nice! Try tipping this cup over. It won’t budge. Mighty Mug is a no-spill mug that uses Smartgrip technology to create an airtight seal against flat surfaces, so it can’t be knocked over. It only lifts in one direction: up. Whether you’re reaching for a drink in the living room, at the office, or outside, you don’t have to worry about kids playing, tails wagging, or people (including you) accidentally bumping into it. 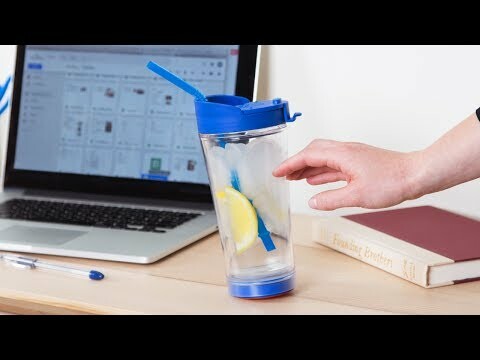 The team of designers behind this liquid life saver adapted its tip-proof mechanism to different drinking vessels. 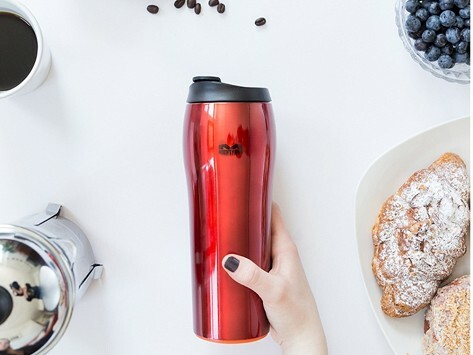 Coffee drinkers will probably opt for the stainless steel travel mug. This double-walled and vacuum-sealed mug keeps a drink hot for 6 hours or cold for 12. If you’re chilling on the porch on a sunny day, the tumbler is a good choice. It keeps the ice crisp and your hands dry. Finally, the tough, shatter-proof pint glasses come in pairs so you can share the tip-proof experience with a friend.